Left-handed pitcher Jonathan Côté is fighting a rare form of brain cancer and trying to get back to college for the start of the season. 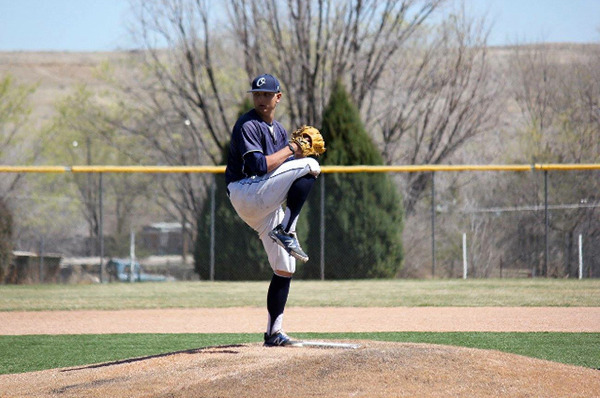 Four months ago, Jonathan Côté was looking forward to his sophomore year at Otero Junior College in Colorado. 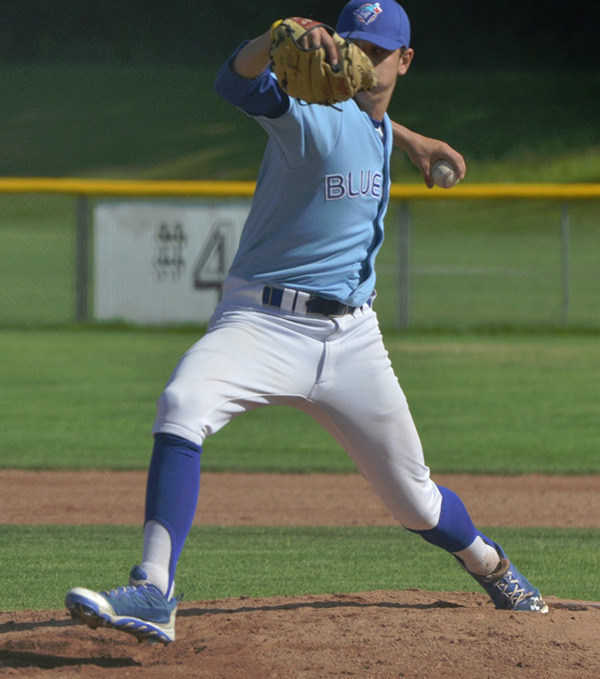 He was expected to get the nod as his team’s number one pitcher and he planned to spend the summer training in Abbotsford in preparation for the start of the baseball season in January. But escalating bouts of vertigo since May 2014 sent him to the hospital this past June, and the former North Delta Blue Jay was subsequently diagnosed with medulloblastoma, a form of brain cancer that’s extremely rare in adults. “Had he been 10 [years old], they would have done a CT scan in 2014, because they’d be the exact same symptoms [doctors would look for at that age],” said Jonathan’s mother Candice. Medulloblastoma is the most common type of malignant brain tumour in children, but makes up less than two per cent of cases in adults. Because of this, Candice said, the doctors had a difficult time agreeing on a treatment plan. Last month, Jonathan had a four-centimetre tumour removed from his brain and is now undergoing radiation therapy. However, it doesn’t come cheap, as just one of his many prescriptions costs $700 and many of his peripheral treatments aren’t covered by MSP. Candice supports the family on a disability pension of less than $1,100 per month as a result of chronic pain from a severe car accident several years ago, but with Jonathan no longer attending college, that funding has been decreased. “Now we just got another kick in the teeth,” Candice said. To help with the cost, one of Jonathan’s former Blue Jay teammates, Marc Ashford, started a GoFundMe page (gofundme.com/cotefamily), which as of Sept. 6 has raised $12,972 of the campaign’s $27,500 goal. “Being a North Delta Blue Jay and in a way through the ball club being a family member with him, not only did I feel bad but I felt obligated to so something about it, so I wanted to help,” Ashford said. The cost of treatment isn’t the only strain on the family’s resources. On top of everything, Jonathan could lose not only his chance to play baseball professionally, but all the work he’s put into his post-secondary education. He’s attending school on a baseball scholarship and if he can’t play, or if his recovery takes too long, he could lose both it and the academic credits he’s earned since they aren’t recognized at Canadian universities. Even if he does make it back to college, the delay may cost him his shot at another scholarship that would enable him to move to a four-year school and finish his degree. “That’s the only problem with going to school in the States,” Candice said. “He was going to be the number one pitcher at school this year, and now he can barely touch his toes. So now we’re going to have to get him into a gym and training and everything else so he doesn’t throw his arm out on top of everything else. It’s just a vicious, vicious circle. And so far, Jonathan’s doing well. He’s almost halfway through his treatment, he’s not experiencing any deficits from it, and so far the radiation seems to have the disease on the ropes. But he’s not out of the woods yet. He won’t know for certain whether the cancer is gone until November, and his doctors say there’s a 50-to-60-per cent chance of it coming back within 30 months. He could lose his hair permanently, lose feeling in his extremities, and could even lose the ability to have kids. Although the family is trying to stay positive, the stress and emotional toll the cancer has taken on everyone, especially Jonathan, is understandably great.